As Halloween is one of my favorite times of the year, I thought this year I would head out around Chicago and capture some shots of some of the most haunted (or supposedly haunted) places in the city. To start, this is a place that I find a little creepy myself. occurrences of movement on the stage, footsteps and unexplained shuffling, a figure spotted walking around in the balcony, a bathroom stall door that seemed to slam by itself, banging noises in the basement, one investigator feeling like he was tapped on the back of the neck several times as he tried to go on the catwalk. the strange sensations in the basement and other areas explained due to high EMF (electro magnetic field) readings, faulty wiring, and machinery to run the venue but the personal experiences couldn’t be explained away. Either could a mysterious recording taken from a thermal imaging camera. The heat signature in question seemed to move in a doorway of the seating near the balcony and go off in one direction as if it were either stepping out into the doorway or leering around the corner. A shy but dead concert goer waiting to see who was taking the stage? The former projectionist? Someone else? TAPS never did say one way or the other that they had enough definitive evidence to conclude that Congress was haunted, but they didn’t say it wasn’t either. Only no one could explain that thing that seemed to be someone moving around. 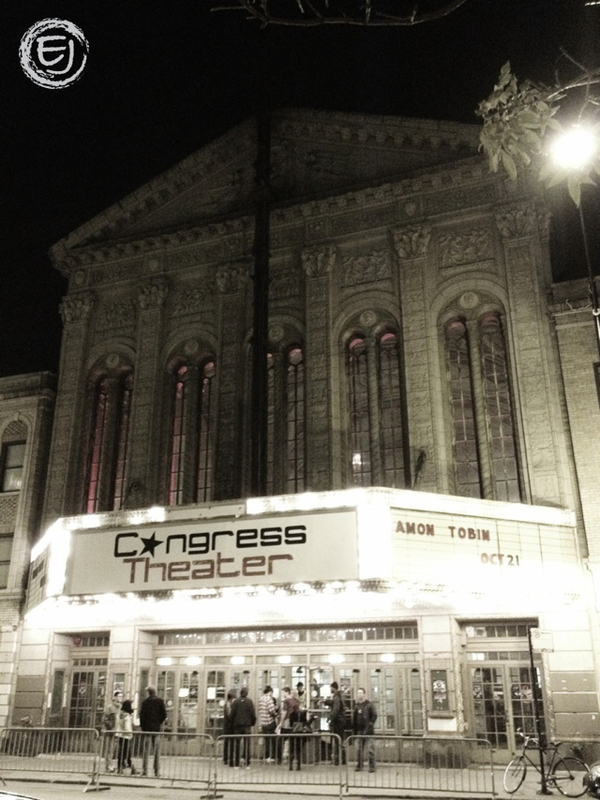 This entry was posted in Architecture, Chicago, Historic Landmarks, Life and tagged Congress Theater, Congress Theater haunted?, TAPS at Congress Theater. Bookmark the permalink.